Disclaimer: I received a free copy of this book as a BookSparks Winter Reading Challenge official ambassador. All opinions are my own and are not influenced by the publisher. I struggled a lot with how to rate this novel. I settled on a middle-of-the-road rating because, while it seems most readers really enjoyed it, it didn’t work very well for me, for reasons that aren’t necessarily the fault of the author. The main thing that held this book back for me is that it bears a lot of similarities to another book I’ve read, Reconstructing Amelia. (I will go over this in detail later in the review, with a spoiler warning before that section.) I want to be clear that I’m not alleging plagiarism; similar ideas can surely occur independently, but there was enough in common between the stories that this felt like a reread for me. This book is marketed as a mystery thriller, but I think emotional angle was the main strength of the novel, as opposed to the twists and turns. After Olivia’s fall, Abi learns that she is on life support and will not recover. She is kept on life support to keep her developing fetus alive long enough to perform a C-section. Abi has to grapple with the conflicting emotions surrounding knowing that getting her grandchild will mean losing her daughter. As she counts down the days, it’s obvious how heart-wrenching this is for her. I seriously felt for Abi and the months she spent in limbo, with her daughter not truly alive, but still breathing. Olivia, who we get to know through flashbacks, was likable, but not always believable as a teenage girl. Her mother is relatively strict and over-protective. Olivia rarely balks at this, and when she does, has a habit of immediately mentally reminding herself that it’s only because her mother wants what’s best for her. I’m not trying to say she needs to be a total brat to be a realistic teenager, but Abi’s habits as a mother would honestly lead me to expect more frustration out of Olivia than she shows. She read less as a genuine teenager and more as a teenager as seen through a thin layer of wishful thinking from an overprotective parent. On a similar note, I would have liked to see a bit more of a distinction between Olivia and Abi’s voices in their respective chapters. Spoilers for the bullet points ahead! Olivia’s pregnancy does provide a divergence from that structure, but the similarities are still too much to ignore. I wanted to like this novel, and it seems other readers generally liked it, but I unfortunately spent the whole book feeling like I was watching a rerun of a crime drama. If you haven’t read Reconstructing Amelia, odds are you’ll enjoy this book; otherwise, prepare for déjà vu. Thank you for reading! 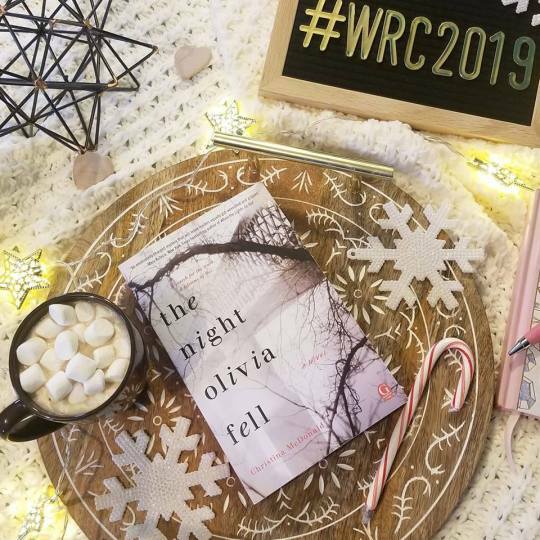 Have you read The Night Olivia Fell and/or Reconstructing Amelia? Please share your thoughts in the comments.